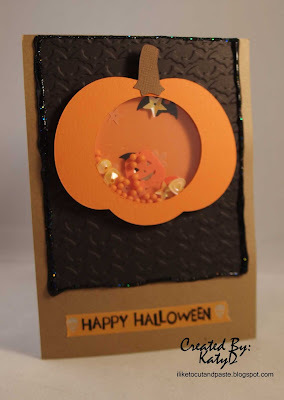 I am so excited to share my pumpkin shaker card with ya'll this evening. I used a Queen and Company circle pop up-it's the foam part that keeps all of the fun little sequins and stuff inside. I used my silhouette to cut the pumpkin (bought from the sil store). and measured it to cover the circle foam tape. The bottom circle was a bit too small so I cut a larger circle to make it work. I am linking this card up to Use Your Stuff-orange, black and one neutral. So I used kraft for my neutral. I would also like to link up to Inspiration Destination-Anything Goes 107. Thanks for joining us at Use Your Stuff Challenge. 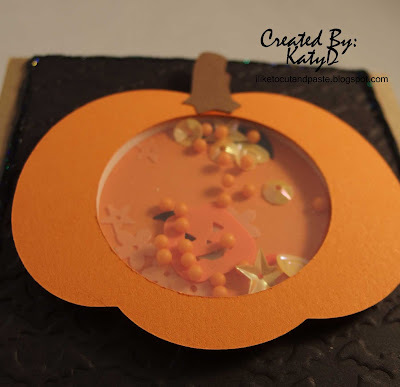 Fun Halloween shaker card! Thanks for joining us at Use Your Stuff! That's a unique card!!! Thanks for joining our challenge at Inspiration Destination Good luck! !